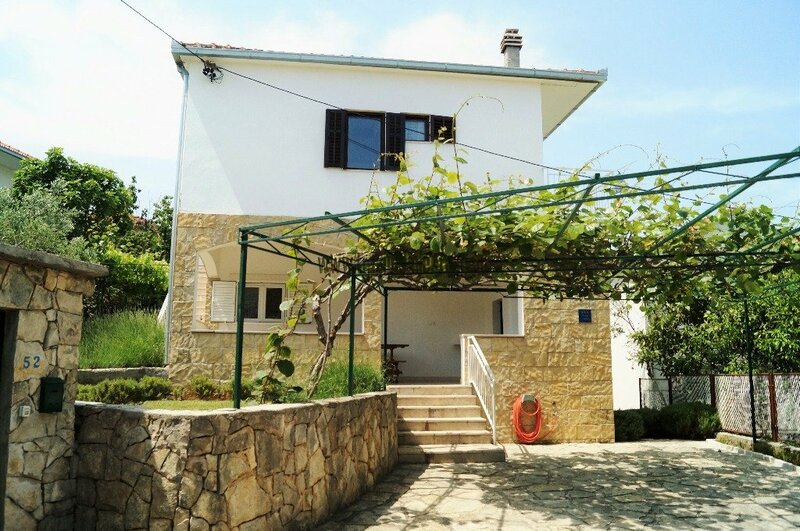 Holiday house for up to 11 persons located in the village of Mastrinka, on the northern side of the island of Ciovo, less than 30 meters from the sea and the beach. The house has 2 floors, each of them consisting of one separate apartment. 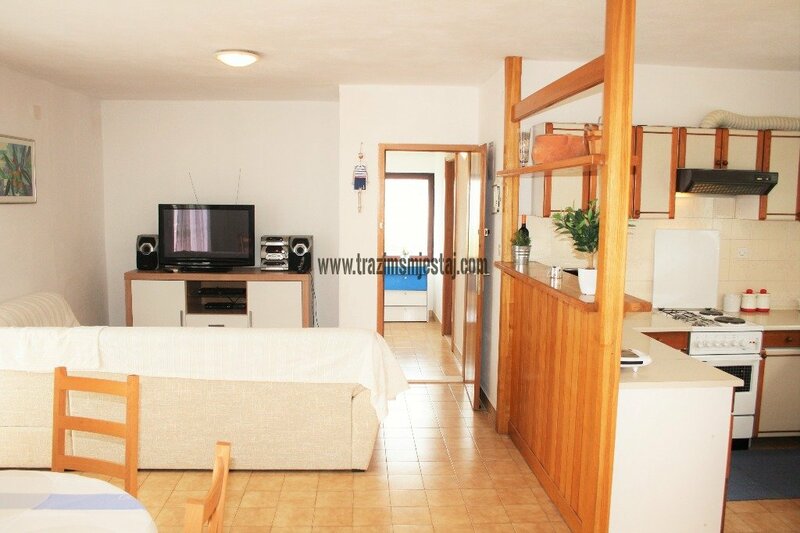 On the ground floor there is an apartment equipped with 2 bedrooms, kitchen, toilette and a terrace. 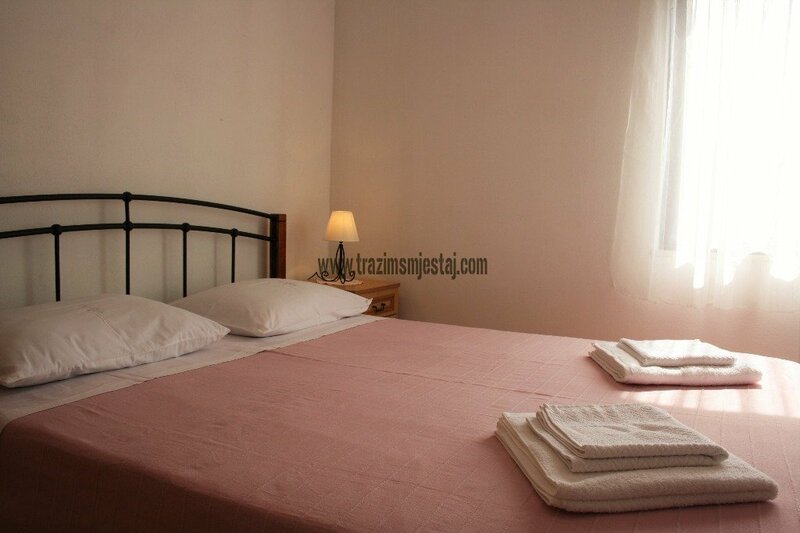 One bedroom contains 2 single beds while in the other one there is a double bed for 2 persons. In the living room there is also an extra sofa/bed suitable for an additional person. 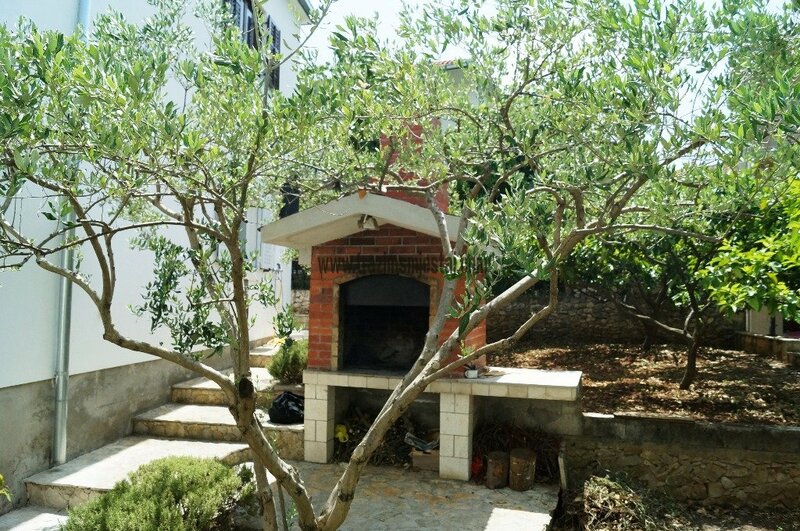 The kitchen on the ground floor is fully equipped for cooking as it contains the oven, stove and fridge with the freezer. In the living room there is a table with chairs and the sofa bed meanwhile from the terrace you can enjoy a relaxing view at the garden, situated on the seaside. 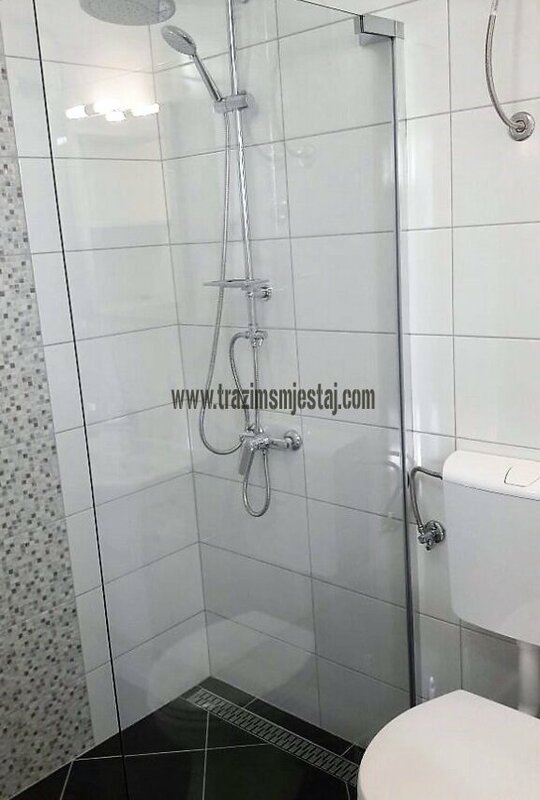 The bathroom is equipped with toilette and bath tub. 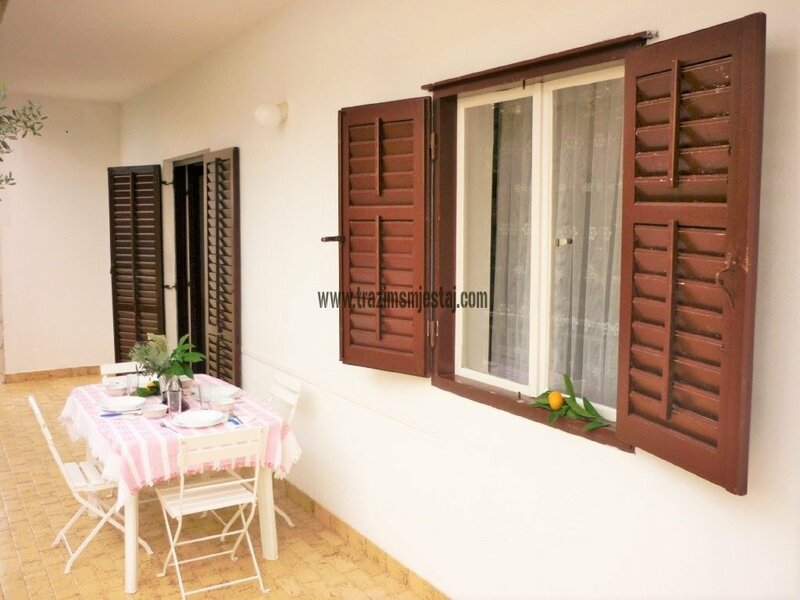 On the first floor of the house there is another spacious apartment equipped with 2 bedrooms, kitchen with a living room, toilette and terrace from which you can enjoy a relaxing sea view. 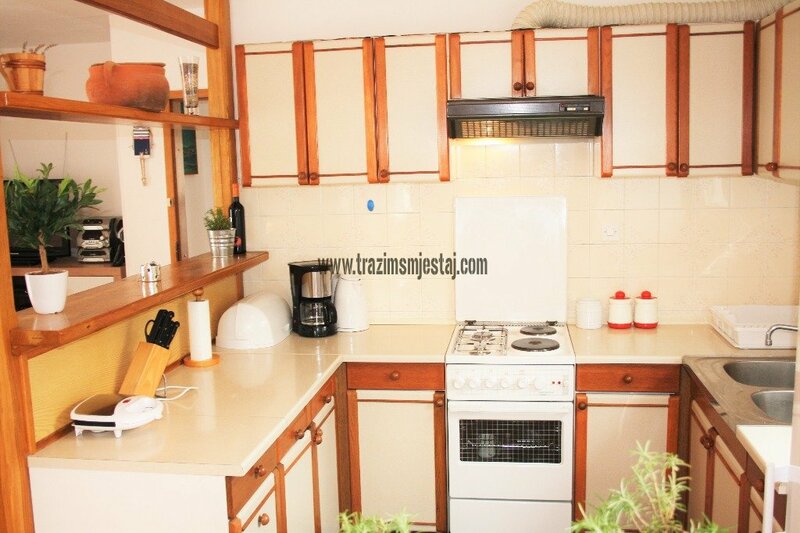 The kitchen on this floor is also fully equipped for cooking: it contains oven, stove and fridge with freezer and other cooking facilities and utensils (plates, glases, etc.). One bedroom has 2 single beds while in the other one there is a double bed for 2 people. In the living room there is an extra double sofa/bed suitable for other 2 persons. In the bathroom there is a toilette, bath tub and washing machine.